Cardio is one of those topics that I could write about every day and some people still couldn’t get enough. To say that grapplers are obsessed with cardio training would be an understatement. Here is the best cardio workout for BJJ that you’ve never done. Everyone I’ve ever talked to wants to know how to best improve their cardio. From high intensity intervals to slow, easy distance the debate rages on over the best approach to allowing you to work harder and/ or longer when you train and roll. There is just one small problem, though. The vast majority of us are missing the most important part of the whole cardio training equation. Without it you are literally making it much harder on yourself to see improvements from your workouts and training. But once you fix it, your cardio capacity will automatically increase and stay that way even if you never did another “cardio workout”. So what is this vital ingredient that you need for an effective cardio training program? I mean, think about it. Since your “cardio” all starts with being able to take in oxygen (you can’t work for very long without oxygen, just try rolling while holding your breath) then it just makes sense to train it. This isn’t something you want to leave to chance, either. For most of us the deep, relaxing breaths we took with our diaphragm as kids have turned into shallow, panic breathing from our chest. You can check yourself right not – take a deep breath and pay attention to your shoulders. If they come up at all towards your ears or you even feel the urge for them to come up towards your ears then you have some chest breathing issues. 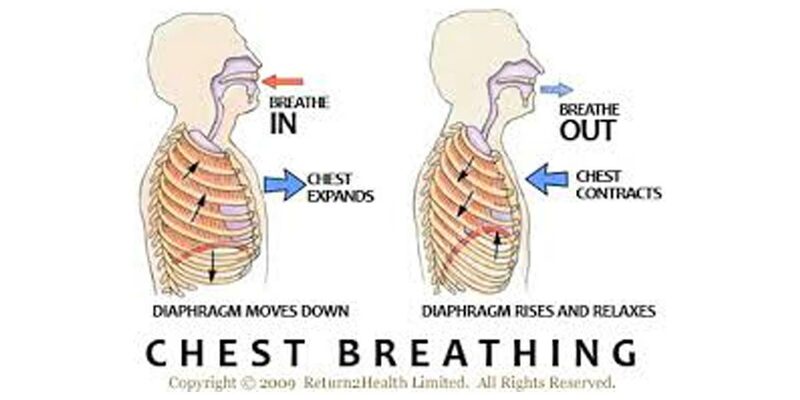 Chest breathing triggers the fight or flight response in the body. This literally changes the hormonal environment in the body, getting it ready for a sprint to safety or fight to the death, not a long ride where you want to stay relaxed and focused. Using your diaphragm to drive your breathing will literally put you in a different frame of mind and get the body to relax. When you use your chest and upper body muscles to breathe then they are not able to react when rolling as efficiently. This means you won’t be relaxed or able to flow, which leads to you having work harder to make up for your inefficient technique. When you can drive your breathing from your diaphragm you can stop rolling with a stiff upper body and let it relax and react faster. Chest breathing doesn’t let you use your full lung capacity. A good, deep breathe will start low and fill the lungs all the way up into the chest. When you start at the chest the breath has nowhere to go and it tends to end in the chest. 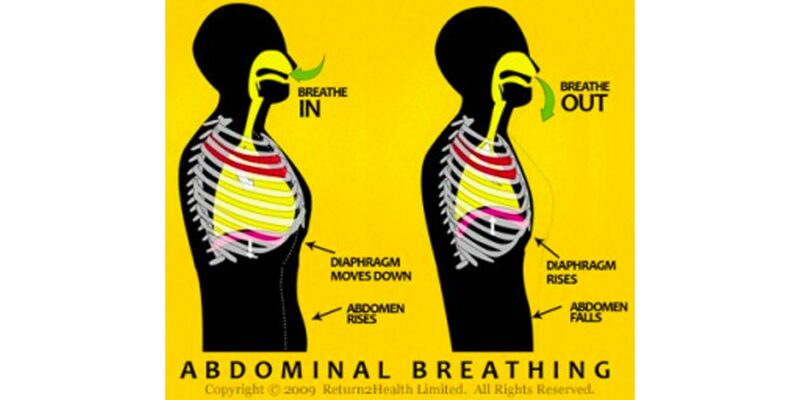 For a lot of us, learning how to breathe from their diaphragm will add a significant amount to our usable lung capacity. What this means is that if you are really interested in improving your cardio then you’d be smart to start using this simple “cardio workout” designed to get you breathing better and help tap into your full lung capacity. 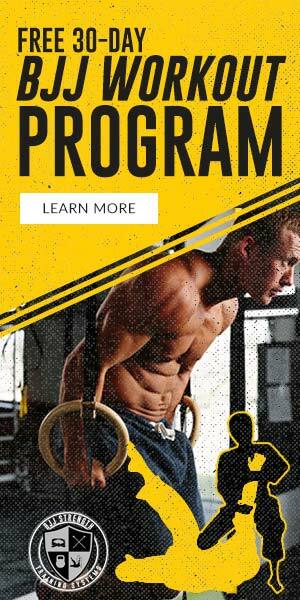 Until you can easily complete this workout then you are just wasting time with other types of cardio training since you are just reinforcing bad breathing habits while doing them. Start by lying on your stomach with your hands by your sides, thumbs turned away from you. Start by taking one hand off the ground and placing the back of it against your lower back. Breathing only through your nose, send your breath to where you feel the pressure on your lower back. You should feel your hand rise and at no point should your shoulders start to come towards your ears. After you 5-10 breathes take your hand off your lower back and take 5 more breathes, looking to make it feel the same way but without the hand pressure there to help you. Now, take the pointer and middle fingers of your hands and poke them slightly into your obliques (your “side abs” found between the bottom of your ribs and the top of your hip bone). Your goal now is to push them out using your breath. You don’t want to poke yourself too hard, applying just enough pressure to help you get the feel for your belly expanding in all directions. After you 5-10 breathes take your fingers out and take 5 more breathes, looking to make it feel the same way but without the finger pressure there to help you. I got this one from Steve Maxwell, who owned the first BJJ gym on the East Coast and trained Rickson Gracie for the first two UFC’s. While this workout looks easy on the surface, most people will struggle to get all the way through it. To do these start by walking at a moderate pace (you can also march in place if you need to). Once you have established a comfortable pace you start by timing your breathes based on your footsteps. Breathing only through your nose, start by breathing in for 1 step and out for 1 step. After a few breathes increase it to breathing in for 2 steps and out for 2 steps. After a few more increase it to 3 steps, then to 4 and so on all the way up to 10 steps in and 10 steps out. Your goal is to build up to those 10 steps and for it to feel easy. You have to be careful that you don’t start to speed up as your breathes become longer. You’re not trying to get through the workout as much as you want to give your body the chance to improve its basic breathing habits. While this workout may be hard at first, the good news is that won’t take a long time to improve. Your body knows how to do this, it just forgot. Once you start reintroducing it to these breathing habits it will only be a matter of a few weeks before you are seeing dramatic improvements. One of the most important things you can do for you long term success is to recognize that without great – not just good but great – breathing habits you are handicapping yourself on the mats no matter how “fit” you are. This simple workout will help reset your breathing and improve your lung capacity, giving you an advantage over a lot of the people you roll with no matter how many more intervals they do. Don’t make the mistake of thinking that unless something is hard and leaves you whimpering in a pile of sweat it can’t be effective. Sometimes the fastest way to improvement is to start with something simple, like breathing better. Make sure you have this vital skill down before focusing too much more time and effort on “working hard” and you’ll be rolling with more endurance before you know it. Goodbye to a dear friend…my first training journal. 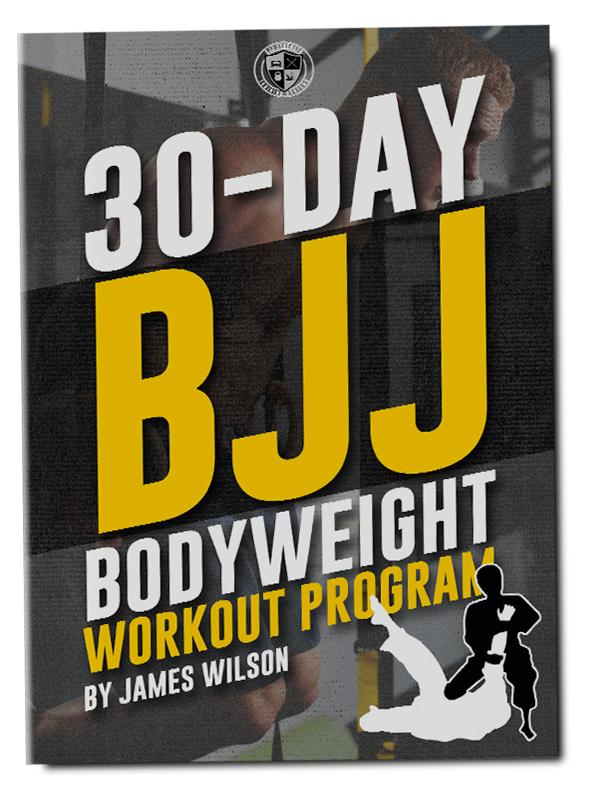 Why bodyweight training is a must for students of BJJ.